The 1992 Constitution of the Republic of Mali assures the protection of fundamental human rights, including the rights to life, to dignity, to bodily integrity, to security, and to freedom from inhumane treatment. Human dignity is sacred and inviolable. ... Each individual has the right to life, freedom and the security, and the integrity of his person.Art. 1, 1992 Constitution of Mali. No one will be subjected to torture, or inhuman, cruel, degrading, or humiliating treatment. Every person, every state agent who is found guilty of such acts, either on his own initiative or by another’s command, will be punished by law. the general organisation of national security.Art. 70, 1992 Constitution of Mali. Malian national law does not directly address the use of force by the security forces. Internal security is ensured both by the police, which is controlled by the Ministry of Internal Security and Civil Protection, and by the gendarmerie, which is a paramilitary branch of the Malian Armed Forces. When law enforcement operations are conducted by the gendarmerie, a 1997 code of conduct regulates their actions.1997 Code of Conduct of Armed Forces and Security Forces of Mali.A number of provisions are included on the use of force, in particular relating to assemblies.Therein it is stated that the Security Forces should not employ force and firearms to disperse unauthorised assemblies, but should seek to use non-violent methods. When assemblies are violent, the use of force should be the minimum necessary and should respect human rights.Art. 12, 1997 Code of Conduct of Armed Forces and Security Forces of Mali.When military forces are tackling internal disturbances, they must identify themselves and issue a clear warning before using a firearm.Art. 34, 1997 Code of Conduct of Armed Forces and Security Forces of Mali. After using a firearm, medical assistance must be provided to any injured person. The families of the victims must be informed and an investigation opened "if necessary".Art. 35, 1997 Code of Conduct of Armed Forces and Security Forces of Mali. When assault and battery and [proscribed] violence ... are carried by the accused during the performance of his duty, the accused will be suspended from his position for period of a minimum of five years and a maximum of ten years.Art. 207, 2001 Penal Code. All acts of torture shall be punished by a term of imprisonment of five years.Art. 209, 2001 Penal Code. According to a 2017 Code of Duties for Custodial Staff, when force, and especially firearms, are used the use must be strictly necessary for the obljective sought.Art. 8, 2017 Code of Duties of Custodial Staff. There is no independent external police oversight body in Mali. However, the Police General Inspectorate (Inspection Generale de la Police), which is an internal division of the national police, is charged with oversight of police action. The last time Mali appeared before the Human Rights Committee, the body that oversees implementation of the 1966 Covenant on Civil and Political Rights (ICCPR), was 2003.
mosque in Timbuktu Region. On 17 August 2017, the Court found him liable for €2.7 million in reparation. 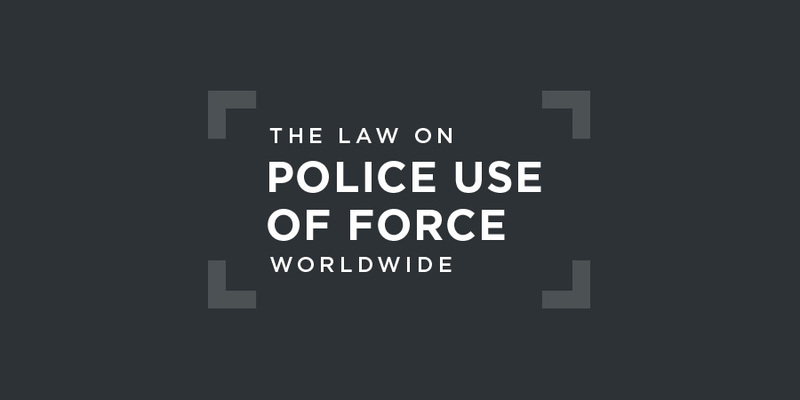 There is no caselaw from the African Court on Human and Peoples' Rights on the use of force by the Malian police. On 18 August 2017, Aliou Mahamane Touré, the former self-proclaimed superintendent of the Islamic police of Gao from 2012 to 2013, was sentenced by the assizes court of Bamako for a series of criminal offences. Mr. Touré was also wanted for war crimes but that charge was dismissed by the court. In his Report of February 2018, the Independent Expert on the situation of human rights in Mali welcomed the commitment by the Malian Ministry of Defence, following allegations recorded by human rights organisations, to open an investigation into the serious abuses reportedly committed by the security forces during operations in central Mali.